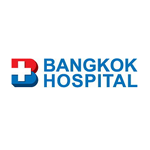 One of Thailand’s leading private hospitals, Bangpakok 9 International Hospital has both JCI and HA accreditation and is staffed by an experienced team of specialist doctors. Located just 30 minutes’ drive from Bangkok International Airport, the fully-equipped, modern hospital offers an extensive range of high quality services to local and overseas patients, including general surgery, weight loss surgery, orthopaedics, cardiac care, breast care and surgery, ophthalmology, ENT, internal medicine, treatment of gastrointestinal and liver disorders, paediatrics, nephrology, sleep medicine, cosmetic surgery and aesthetic treatments. Be Clinic offers cosmetic and plastic surgery in Brussels, using the most advanced techniques. Cosmetic procedures available include breast augmentation, facelifts, nose correction and liposuction. BIOGENESIS in Thessaloniki, Greece is a state-of-the-art ISO-accredited fertility clinic offering a comprehensive range of accessibly-priced fertility services, including investigation of subfertility, assisted reproduction and cryopreservation, from a distinguished team of specialists. Treatments available include IVF, IUI, egg donation, PGS, PGD, TESE and laparoscopic/hysteroscopic surgery. The plastic surgery clinic in Antwerp, Belgium, boasts a highly specialized network of cosmetic surgeons. They offer the full range of the latest cosmetic procedures and pride themselves on their excellent communication and beside manner. They are ISO accredited. 4The Priory Hospital in Birmingham is part of BMI Healthcare, Britain`s leading provider of independent healthcare with nearly sixty hospitals nationwide performing more complex surgery than any other private healthcare provider in the country. Bucharest British Dental Place is a British owned and family run dental clinic in Bucharest, Romania. They offer a home-away-from-home dental experience by British staff and British-trained professionals at a fraction of the cost elsewhere (a saving of 50-70%), without the worry of anything being lost in translation.